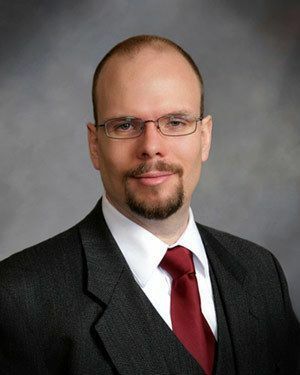 Professor David Kyle Johnson is an LVH December favorite! In the past he's discussed such topics as whether St. Nicholas even existed as a historical figure and why it's ok for secular humanists to celebrate Christmas. This year we'll welcome him for his latest holiday-themed lecture, "Christmas Economics: The Jolly Folly of Christmas Spending." He will argue that the way we spend our money at Christmas hurts the economy rather than helps it and make suggestions for how we can use our money at Christmas to help the economy and do good. A question and answer session will follow. Childcare will again be available at this event on a very limited basis. Click here to reserve a spot (you must be a member of or join the LVH Families Meetup group). David Kyle Johnson is an associate professor of philosophy at King’s College in Wilkes-Barre, PA and also teaches for The Great Courses (Exploring Metaphysics (2014) and The Big Questions of Philosophy (2016)). Although he publishes on heavy philosophical questions surrounding metaphysics and philosophy of religion, he also maintains two blogs for Psychology Today, writes for Wiley-Blackwell’s Philosophy and Pop Culture series, speaks regularly in public for humanists and atheist groups, and is the author of Humanist Press’ The Myths that Stole Christmas. He also teaches a course on Christmas and has appeared on multiple podcasts (e.g., Rationally Speaking, The Humanist Hour, Point of Inquiry) to talk about issues that surround the holiday. In this regard, he is perhaps most famous for arguing that parents shouldn’t lie to their children about Santa. Kyle's current project is creating a science fiction and philosophy course for The Great Courses.